Phoebe “Kay” Marinoble, 73, of North Warren, Pa. and formerly of Hudson, N.H., died Sunday, January 6, 2013 at Warren General Hospital after an extended illness. She was born August 9, 1939 in Warren, PA. to the late Leonard and Eleanor Turner Strandburg. She was a 1958 graduate of Warren High School. 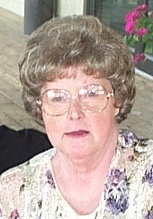 Kay was employed with the former New Process Company, and the Warren County School District as a Teacher’s Aide. She retired from the Courville Nursing Home, Nashua, N.H. She enjoyed golf, reading, her children and her husband. She is survived by her husband of 51 years, David Marinoble whom she married July 8, 1961 at St. Joseph R.C. Church, Warren, PA., 3 Children – Joelle Thompson and husband, Todd of Uxbridge, MA., Dan Marinoble and wife, Kathryn, Pete Marinoble and wife, Erika, granddaughter – Abigail all of Highlands Ranch, CO., 1 Sister – Sue Ellen Nazario, 3 Brothers – Quay Strandburg, Charles Strandburg and wife, Bonnie, Dennis Strandburg and wife, Cindy all of Warren, PA., and several nieces and nephews. In addition to her parents, she was preceded in death by an infant son, David, 2 Sisters – Betty Lou Duckett and Connie Sovich and 2 infant brothers and a brother at age 6, Billy. There will be no visitation hours observed. A private memorial service will be conducted at the convenience of the family. In lieu of flowers, memorial contributions may be made to a charity of one’s choice or the Arthritis Association. Those wishing to submit e-mail condolences may do so by visiting www.lewisfuneralhomeinc.com. The Donald E. Lewis Funeral Home, Inc. is in charge of arrangements. So very sorry to hear of Kay’s passing. My thoughts and prayers are with you. So sorry to hear of Kay’s passing. I never met anyone who had such an “up” attitude with all that she dealt with. Deb and I will be keeping all of you in our prayers. Please accept my deepest sympathy for your loss. Though I hadn’t seen Kay in years I will always remembering meeting and singing with you all in St. Jospeh’s youth choir. Joelle, Dan and Pete also were in our wedding many years ago. Kay was a very sweet and caring person who touched many of our lives. I am so sorry for the loss of your mother. She was a wonderful person. She will be missed. My sincerest sympathy go to you all. She was a dear friend and will be missed deeply. Although I had not seen her in a couple years we would chat on the phone and I always admired how strong she was. She never complained and always had a smile in her voice even when she was not well. My prayers and thoughts are with you all.